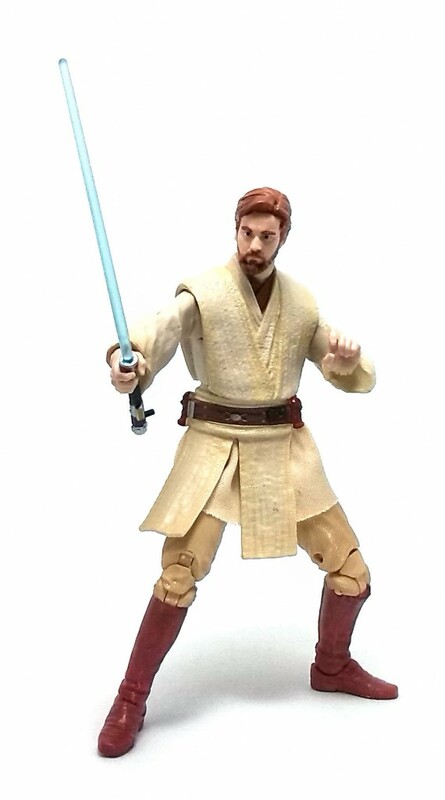 This 6-inch figure depicts the Jedi master as he appeared in the final duel from Episode III: Revenge of the Sith, although the outfit was sculpted in a less scene-specific fashion, as it lacks the burn marks and tears on the fabric sustained on Mustafar. The overall sculpture is a good representation of the robes worn by Obi-Wan during the rest of the film, with subtly textured surfaces on the tunics and decent folds and creases on the pants. The lower edge of the outer tunic is made from actual fabric, and the piece blends well with the plastic used on this figure. 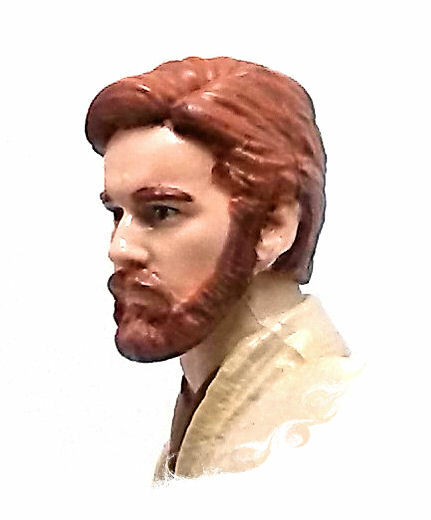 The head sculpture is pretty decent and from some angles, you can see a definite resemblance to actor Ewan McGregor, although this is yet another instance of the coloring of the piece working against the sculpted likeness. Articulation is good and well concealed, with a few limitations imposed by the figure’s design. 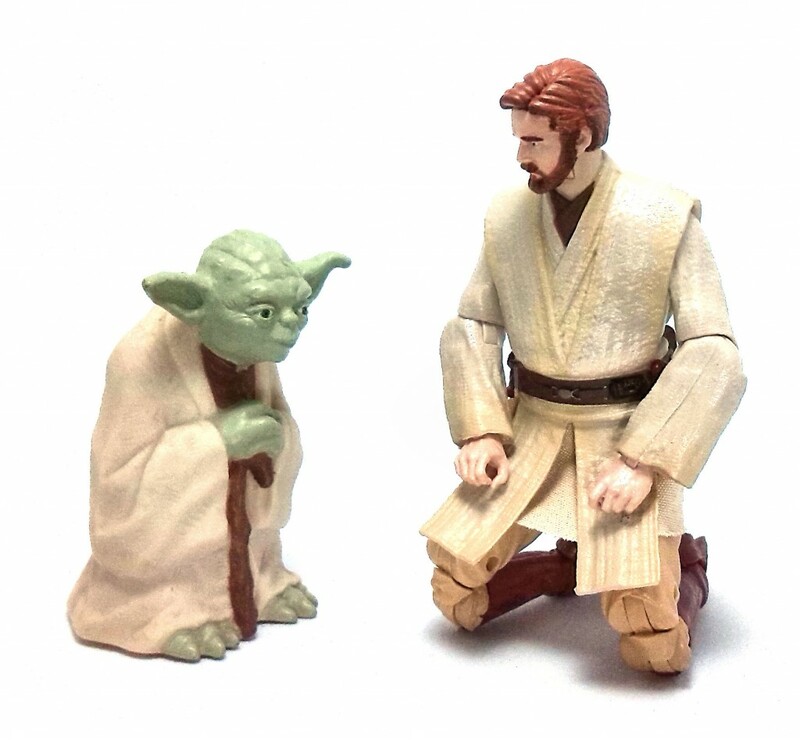 Specifically, the width of the torso prevents Obi-Wan from holding his lightsaber in a two-handed grip and the front of the rubber tunic piece interferes with sitting poses. 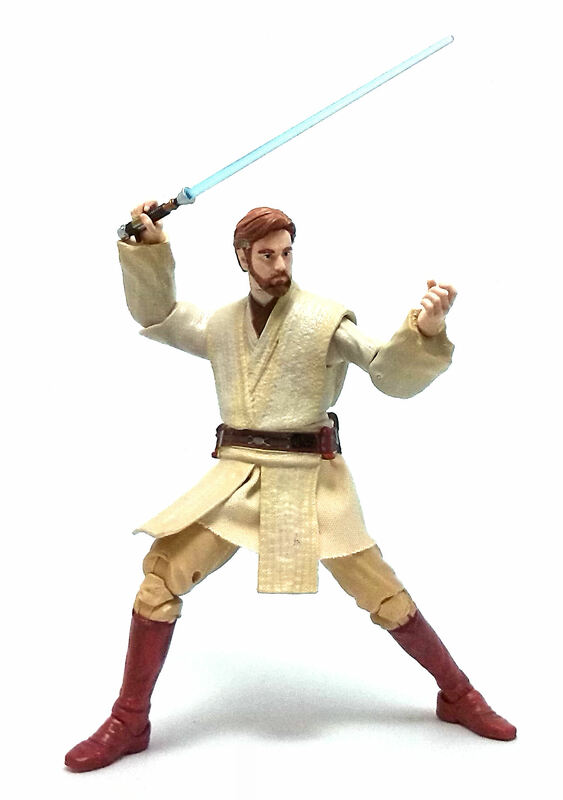 Despite the limitations I mentioned before, this Obi-Wan figure can still adopt a wide array of stable, dynamic poses. The paintjob is very sparse and limited mostly to the head, boots, belt and neck of the figure. The tunic did receive a paint wash that helps to bring out the sculpted textures, but is a tad too subtle to actually convey the grime and dust it may have accrued during the Mustafar duel. Obi-Wan’s hair is painted in the same auburn hue used for the boots and belt, with a slightly darker shading wash and a few highlights applied onto the temples. The main issue with a number of Obi-Wan figures I saw at the store was the eye paintjob. On those occasions where I managed to find figures with properly aligned eyes, the eyebrows still were either placed too high, or painted too short. It took me a fairly long time to find a figure with a paintjob I actually could live with. The only accessory included with Obi-Wan is a lightsaber with a removable blade. The hilt of the saber is nicely painted with black, silver and copper, and it has a peg to affix it to the belt of the figure. 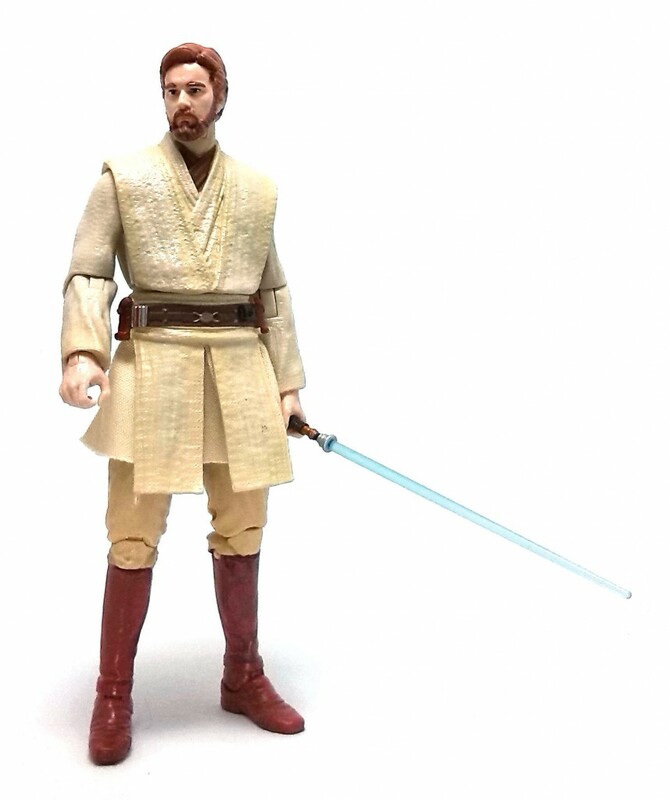 Overall, I liked this Obi-Wan figure, although I definitely feel that it is way too light on the accessory department. At the very least, a brown fabric robe would have been nice touch and something to boost the perceived value for this figure.